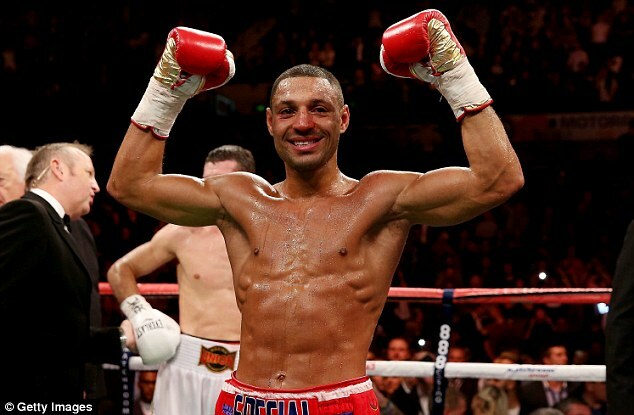 Kell Brook on Saturday night secured the most significant victory of his career when he stopped Vyacheslav Senchenko in four rounds. In doing so, he earned the right to challenge for the IBF welterweight title, presently held by Devon Alexander but which could change hands if and when he fights Shawn Porter on November 30. 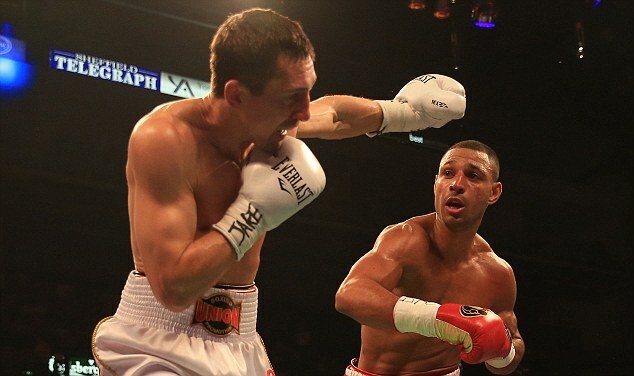 Few will argue the performance was the most polished of Brook's career but it was by some distance the most destructive and went some way to highlighting his obvious potential given the respect Senchenko had been given as a former world champion. Only once had the Ukrainian lost before entering the ring against Brook in Sheffied's Motorpoint Arena, including last November's victory against a faded Ricky Hatton, but as soon as the third it became apparent he was perhaps out of his depth. Brook appeared to edge the opening two rounds with both his greater class and intent but the reality remains that little of true note happened that contributed to the fight's outcome. Unusually for someone of Senchenko's range, the Ukrainian was guilty of over-reaching when throwing punches which allowed Brook, an intelligent fighter and one fond of setting the traps, to land his own shots with relative ease. There was a risk to Senchenko's work – he had looked nervy while making his ringwalk – and midway through the third it told when a powerful right hand to the Ukrainian's temple for the first time sent him to the floor. The former world champion clearly hadn't recovered when back on his feet after the count of eight and greater patience from Brook may have ended the fight there and then. He fought somewhat raggedly, however, and as a consequence his accuracy went which allowed Senchenko to fulfill his obvious ambition of surviving to the end of the round. Still the night appeared as though it would be an early one for Brook and particularly so when the fourth began with the same dominance. There was, though, one more test for the welterweight to pass, and even if it was an unnecessary one it could regardless ultimately prove beneficial to have had. 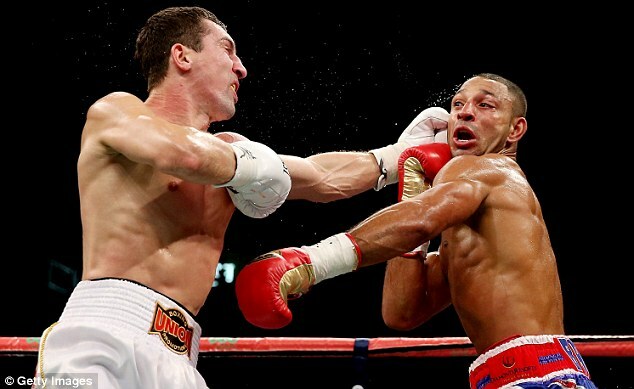 Carelessly taking a big right hand from Senchenko he was sent back against the ropes where he was temporarily forced to abandon his aggressive ambition until recovering to the extent that he could once again convincingly box and it was then that Brook sought – and successfully found – the ending he was looking for. Another big right hand sent Senchenko quickly crashing to the canvas and in a way that suggested the fight was over there and then. 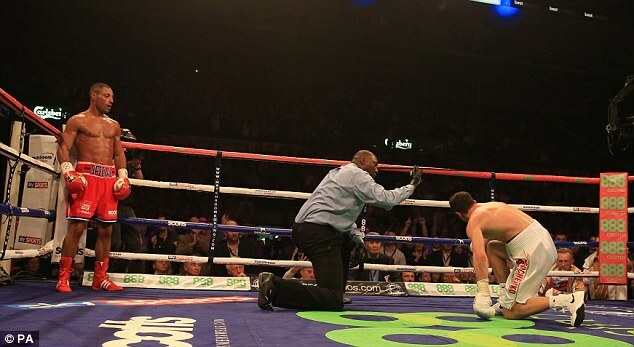 To the Ukrainian's credit he had found a way back to his feet when the referee's count reached eight but it was clear he was in no position to continue and the decision was rightly taken to immediately wave the action off. 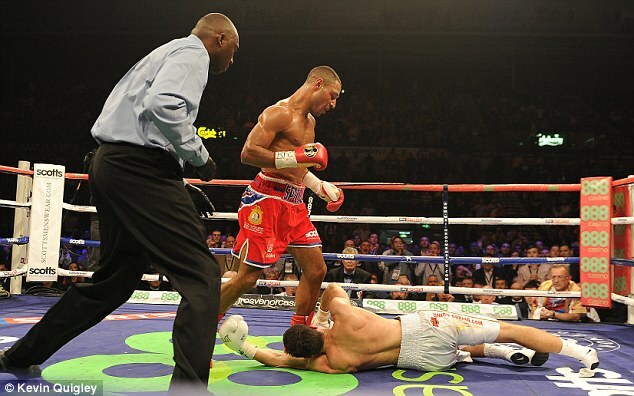 'I believe I've made a statement here,' Brook said afterwards. 'When I hurt him I knew I could take my time. I nearly got lackadaisical and I got caught myself, but I thought "I'm going to get you back for that". 'I wasn't really hurt, it was just a bit of a buzz. But I'm fit and healthy and felt great tonight.